This stainless steel sink adds timeless style to any d�cor. The sink features a distinctive square design to integrate elegance into your home. 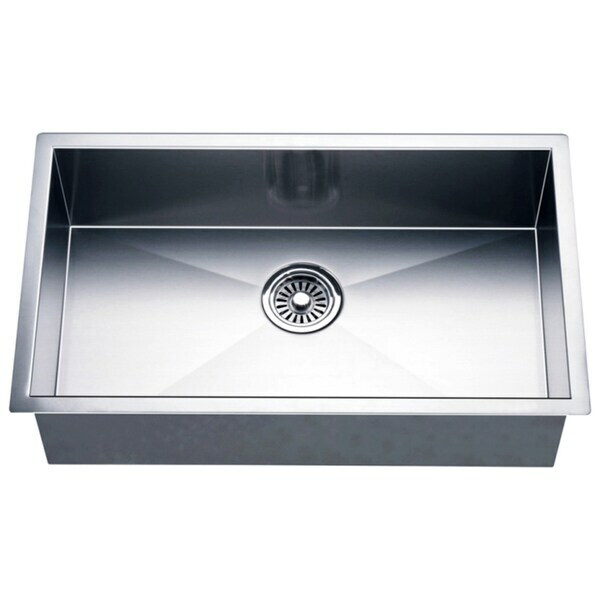 Dawn sinks are formed from 16, 18 or 20 gauge 304 type stainless steel reinforced with satin polished finish and sound absorption pads to ensure durability, hygiene and longevity. They are of smooth and contemporary design to complement any home. "Does this sink fit a 30" cabinet?" Yes, it fits 30" cabinet.